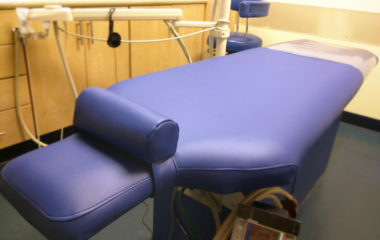 Chiropractic table upholstery isn’t the only thing we have to offer chiropractic offices. 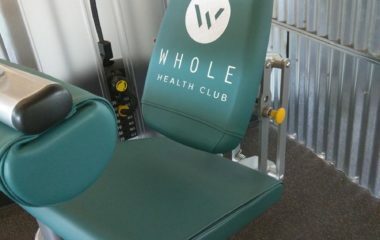 This Therapeutic Wobble Chair is an excellent example of the many other custom services we offer our clients. 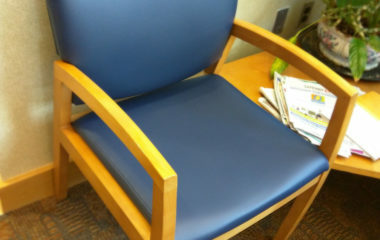 Dr. Anderson came to us and asked about bringing new life into these seats. 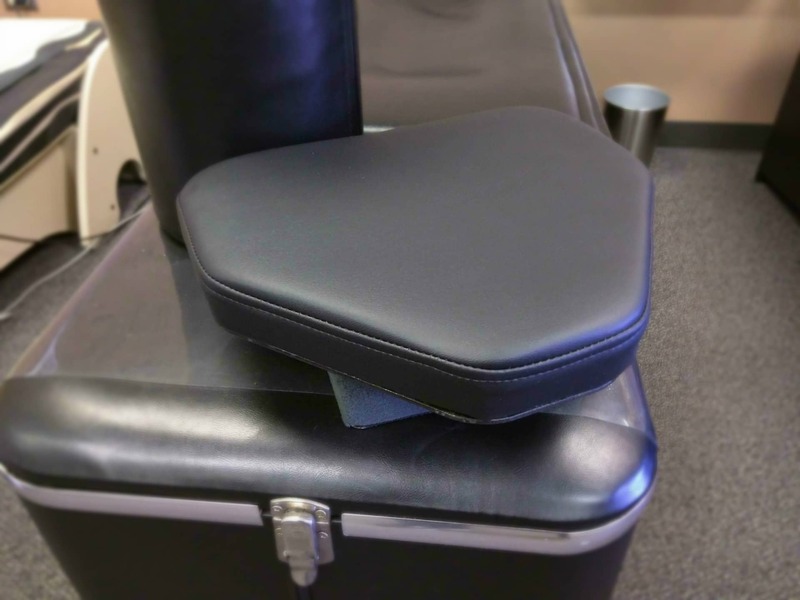 At a fraction of the price we were able to make custom pad with new vinyl and foam. 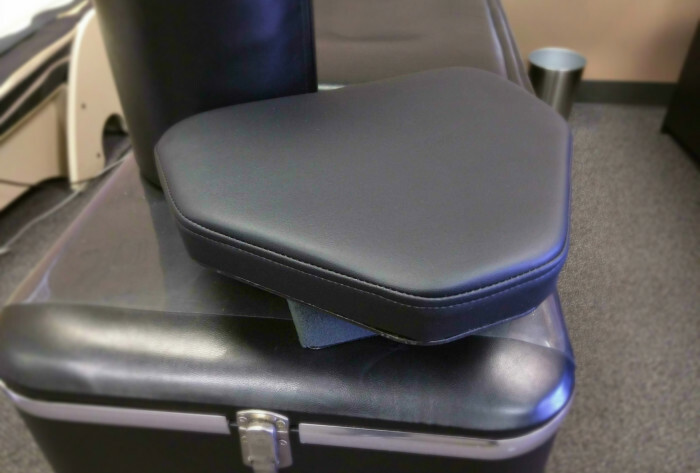 By using Olympus vinyl and soft but high durability foam we’ve given Dr. Anderson and his staff tools that are sure to last. 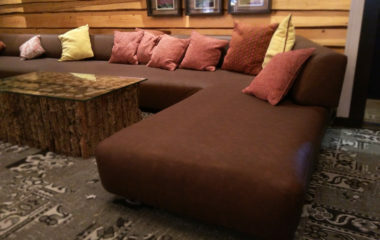 Whatever your upholstery problem, Advantage is the solution!